Stevie Ray took to Twitter in order to share is thoughts on his WWE Hall Of Fame Induction, reflecting on being "voted in" by his peers. 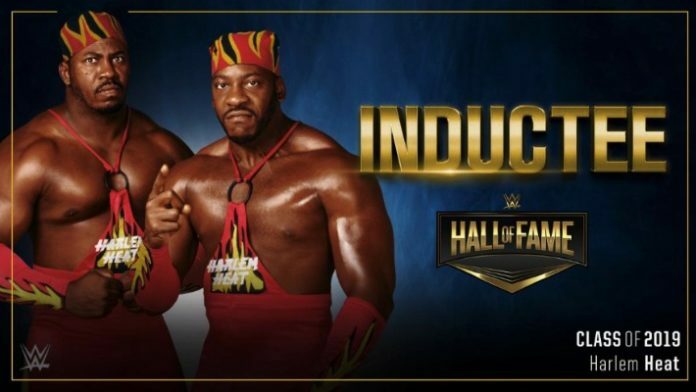 Booker T and his brother, Stevie Ray, are some of the latest Superstars to be announced for this year’s Hall Of Fame. The duo competed together extensively during the ‘90s in the tag-team, Harlem Heat. They found success and fame during their time in WCW prior to Booker T branching out and hitting main event status. Stevie Ray has since taken to Twitter in order to thank his fans, humbled by the induction. He would, however, follow this up with another tweet. This one reflected on how he was “voted in by my peers” as Stevie Ray took umbrage with Dave Meltzer. In Dave Meltzer's opinion, I'm not worthy of the #WWEHallOfFame. That's fine because that's his opinion, but I was voted in by my peers. I got respect in this business which is more than I can say for him. When the HOF is over, fans will get to hear what I really think of Dave. Harlem Heat joins The Honky Tonk Man, Torrie Wilson (who has also dealt with critics regarding her inclusion), and D-Generation X. The Hall Of Fame ceremony takes place over WrestleMania weekend this April. It goes down on April 6th from the Barclays Center in Brooklyn, New York.